Get ready to enter the corporate world with confidence in your ability to operate and manage at a high level by studying this Business Management degree. QUIZ: Which business degree should you study at St Mary's? Business Management is also available as an undergraduate degree with a foundation year. The world needs good managers. It needs them at every level, whether managing day-to-day business operations or in the headquarters of businesses, government or charities. If you want to climb the corporate ladder of an international organisation developing managerial concepts, skills and disciplines will be critical to that ambition. This Business Management course has been designed by an experienced team of academics, many of whom have experience of working as managers in a variety of industry sectors. The degree takes into account what employers and industry experts expect from new management recruits. This degree gives you the knowledge and skills needed to be a successful manager, in private, public or charitable sectors throughout the world. It builds on contemporary management skills and approaches, giving you everything needed to secure and succeed in your first management job. We aim to give you practical experience through our extensive placement and mentoring programmes, which will equip you with hands-on skills and guidance from industry professionals. Completion of the degree leads to dual accreditation: Bachelor's Honours degree and Level 5 Certificate in Management and Leadership awarded by the Chartered Management Institute (CMI). St Mary’s University is a small and beautiful campus university in West London, with a friendly and professional atmosphere. 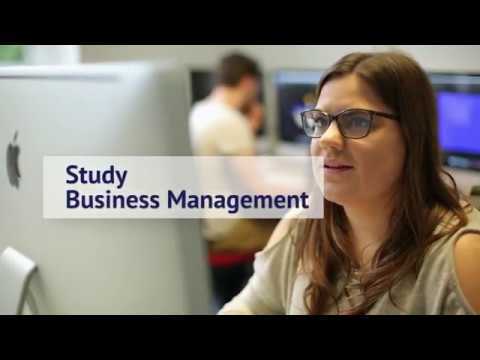 Our Business Management programme combines coverage of the key business areas from finance and marketing, through to strategy and human resources, with the opportunity to study more specialist subjects, such as business law, management consultancy and digital business. 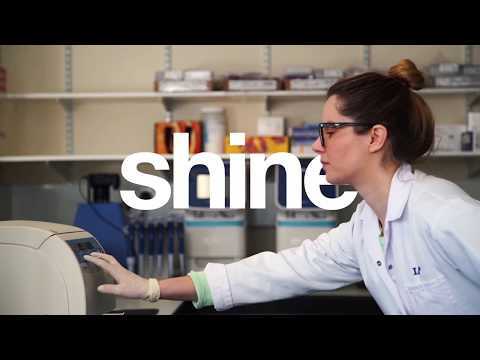 You can undertake a work placement as part of your degree. This will allow you to experience the benefits of combining academic theory with the practicality of the working environment. Being located in the capital means we are near many large companies, including a range of sectors that supply, run and use Heathrow Airport. However, we are also surrounded by successful small businesses who need management expertise and welcome student placements. 72 UCAS points should include at least a B and C grade at A Level (or equivalent). GCSE Maths grade C, or equivalent evidence of numerical skills, is also a requirement. The undergraduate degree with foundation year programme offers applicants without traditional qualifications or grades an alternative route to studying Business Management. You will learn what makes business tick, including the financial and economic aspects of business, how to manage people, and how to organise for success. You will learn how to manage the long-term future of a business by studying changes taking place in the business world, in societies, markets, finances, economies, technology, political intervention and legal or ethical requirements. You will also discover how to develop and implement strategy to meet requirements and the processes behind completing in-depth research projects investigating the different choices your business needs to make. You will have the opportunity to gain managerial experience during one of several work placements offered throughout the programme. It is possible to gain professional accreditations and certificate exemptions by successfully completing selected core and optional Business Management modules. Professional bodies include Chartered Management Institute (CMI), Chartered Institute of Management Accounting (CIMA) and Chartered Institute of Public Finance and Accounting (CIPFA). Students consider the impact of economic issues on business and entrepreneurs as part of this topical business module. They will learn to identify and assess business environment factors; understand the market mechanism and consider its relevance for the performance of businesses and organisations. This module will also examine the relationship between government and markets as well as consider the international and ethical dimension to businesses and entrepreneurial activity. Please note: this module supports your progress towards the CIMA Certificate in Business Accounting. The dynamics of the marketing environment, namely buyer behaviour, product pricing and product promotion, are all explored within this module. Students will examine the role marketing communication plays in business and some of the techniques used to generate interest and purchasing decisions. As part of this module, students develop an understanding of the significance of research in market development and product innovation. This module introduces students to methods of research and data collection, data analysis, and some financial mathematics used by decision makers in a business or organisational context. It gives a broad appreciation of the role of key methods and approaches essential to commercial decision-making processes. Emphasis will be placed on the application of essential techniques and methodology, and the interpretation of results. This should help students understand the value and limitations of data and financial information in decision making. Please note: this module supports your progress towards the CMI Level 5 Diploma in Management and Leadership and the CIMA Certificate in Business Accounting. You can explore the strategic role human resource management (HRM) plays from both an organisational and employee-focused perspective, as part of this Business Management module. You will also gain an appreciation of the selection, training, appraisal and reward of employees which could be useful for your own career ambitions. This module will help you reflect on personal attributes as well as prepare plans for your career. Particular reference will be made to corporate and business environments, drawing upon examples and scenarios from around the world. This module introduces students to the range of thoughts, ideas and approaches used in management. It covers all areas of management including finance, marketing, information systems, organisational culture and international business. Students will learn through practical examples, as well as theoretical analysis, to understand the major issues concerning managers across the business functions. The significance of ethical and responsible behaviours in business and management will also be explored to emphasise the changing nature of management and corporate governance. This module examines the nature of organisational behaviour from both an individual and corporate perspective. It provides you with a good understanding of work psychology and the important role it plays in managing relationships between colleagues, staff and managers. The module considers the impacts of situational influences and concepts, such as job satisfaction, diversity, work motivation and leadership. You will gain an appreciation of psychology in professional and business settings. You will also realise the interface of human psychology in the workplace. This is a core module for all business management programmes and recognises the importance of accounting and solid budgetary control. This module introduces students to the role and nature of financial accounting in business operations and highlights the concepts that encompass responsible financial management. Students will learn to understand key items of information contained in the published financial statements of companies and other organisations. The module includes the preparation of accounting statements, with emphasis on their use, interpretation and limitations. Please note: this module supports your progress towards the CMI Level 5 Diploma in Management and Leadership, the CIMA Certificate in Business Accounting and the CIPFA Professional Accounting Qualification – Certificate Level. This module provides students with an understanding of research in management and business as preparation for the Level 6 independent research project. Students will be encouraged to consider relevant philosophies, approaches and methodologies in research such as primary and secondary research, self-completion questionnaires and ethnography, and qualitative and quantitative research. Students will consider the role of ethics in research and will learn to apply these methods to a realistic business and management situation. Micro and macroeconomic issues significantly influence many business decisions. In this module students will examine the concepts of supply and demand, equilibrium and elasticities and their impact on business and pricing strategies. They will also question the effects of industry structure and competition. From a macro-economic perspective, students will consider the effect of national income as well as fiscal and monetary policy. Students will also debate global aspects of the economy such as balance of payments, international trade and exchange rates. Understanding how the law affects the operation of a business is crucial to the success or survival of the business. During this module, students will be exposed to the national, EU and international legal environments in which businesses function This module explores the most important and frequently occurring areas of law relevant to most businesses. The complex nature of the law means that even deciding the appropriate form of business organisation is a question which results in many different legislative outcomes. This module will help students to make that decision. Please note: this module supports your progress towards the CIMA Certificate in Business Accounting and the CIPFA Professional Accounting Qualification – Diploma Level. The module is designed to provide students with a critical understanding of a select range of issues impacting the business environment, including globalisation, international trade and taxation. The module positions globalisation and the multinational enterprise as inter-linked themes pivotal to understanding and grappling with the challenges and opportunities in the contemporary setting of international business. The module, therefore, provides students with the understanding to appreciate how global issues influence business practice. Drawing on the research proposal developed in Research in Business and Management students refine and carry out their research proposal and develop a body of work in evidence. As part of the module, they will develop the ability to locate and evaluate, academic literature and business reports. The module will enable students to demonstrate a holistic understanding of business management issues and to exemplify their research, reporting and analytical skills through a significant piece of independent research. Please note: this module supports your progress towards a CMI Level 5 Diploma in Management and Leadership. This module complements the Starting A Business Venture in Level 5 and is designed specifically for (Business Management and Entrepreneurship) students with a viable business idea that wish to take it to market. The module includes tailored business development sessions where students will learn, and collaborate with others in developing their business. Students will have access to mentors and successful start-up entrepreneurs and will draw upon their experience. At the end of the module, students will present their business plan to a panel of business owners and can then go on to seek investment and funds to take it to market. In this module students will consider how charities and third sector organisations function as a form of business practice. Students will gain an appreciation of the current issues facing charitable and third sector organisations in the UK. They will examine management practices, such as planning, fundraising, and marketing as well as understand the impact of law and governance on such organisations. Students will develop insights into the contribution made by charities and third sector organisations to society as well as realise the role of ethics in managing such organisations. This module progresses themes of business ethics embedded earlier in the degree, in terms of management of finance, human resources, and marketing. It also enables students to engage critically with a number of other issues identifiable in the theory and practice of business ethics, such as different approaches to business ethics, corporate social responsibility, sustainable development, transnational corporations, ethical investment and whistleblowing. It, therefore, equips students with a critical insight into becoming an ethical and responsible business practitioner. Digital business involves the mediation of transactions and processes through digital media, primarily, the Internet. In this module students will discover the challenges that digital media present to many businesses strategically. The module will investigate the benefits and limitations of digital business and commerce to organisations, consumers and the wider society. Students will also identify the strategic implications of new business forms and processes that are revolutionising traditional business models and accessing even greater information and data. The degree is designed to help you develop a wide range of skills that will enhance your employability portfolio. These skills include communication, presentation, analysis, quantification, research techniques, teamwork and working to deadlines. Career opportunities for graduates include banking, insurance, law and business consultancy, as well as a wide variety of specialist and generalist management posts in leisure and sport, marketing and human resources. The Careers Service has more information on careers and postgraduate study options available to Business Management students who have started their studies at St Mary’s. As well as highly interactive lectures, you’ll receive presentations from leading researchers and top management professionals and practitioners. Seminars will deepen your understanding of the skills you’ll need to be an effective manager. Individual tutorials offer further support in learning the subject matter on a one-to-one basis. These approaches are supplemented by an online virtual learning environment where you can find additional learning materials. You will be assessed in a variety of ways that test knowledge, understanding and skills development throughout your degree. The programme uses a broad range of assessments including business reports, essays, practical exercises, presentations, case studies, examinations, assessed blogs, seminar and simulation exercises as well as traditional exam-based assessments and coursework. Wherever possible, you’ll be assessed using digital methods and online feedback. Over the course of three years, I've found the Management programme and the lecturers at St Mary's extremely encouraging and engaging. The small class sizes mean a higher level of interaction between the tutors and students, which I have personally found to increase the level of discussion on the concepts and topics being covered. The assessments have been flexible enough for each individual to demonstrate their strengths, whilst the range of modules has broadened my awareness and appreciation for different areas of management and international business situations. I studied Sport Science with Business Management. The course provides a great insight into sporting pathways and has helped develop my interest and knowledge of the subject. The staff here are really helpful and are always on hand when help is needed, both in lectures and tutorials. The course also coincided well with my passion for netball and allowed me to apply what I had learnt both on and off the court. What attracted me most to the management course at St Mary’s was the variety of modules that were available throughout the three levels. I particularly enjoy studying the module ‘practitioner skills for managers’. I have learnt a variety of skills that are transferable to the work place and to later work experience modules. All of the lecturers are really helpful and I especially like the community feel of the department. "Studying Business Management I achieved not only knowledge of theories and diagrams, but also practical experience of teamwork and presentation skills. All of this has helped a lot now I am working. 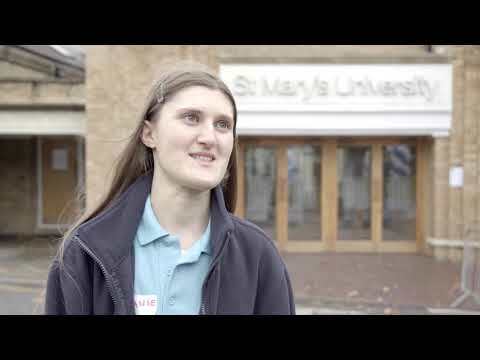 The academic staff at St Mary's are very helpful and will always make time for students." St Mary’s University is just amazing, University life has made me an independent, confident and a professional person. All teachers are helpful and kind, Business Management course was really interesting and I really enjoyed the work placement module. As an international student from Malaysia, I enjoyed my time at St Mary's. The two main points I like about St Mary's are the work placement modules and supportive lecturers. I found work placements through St Mary's centre for workplace learning and it has made me more successful in getting an offer to study a postgraduate. It also made me more employable. My lecturers were very supportive and inspired me to work hard. I thoroughly enjoyed studying my degree at St Mary’s University. The business management theories I learnt are useful as they are applicable to real life business operations. 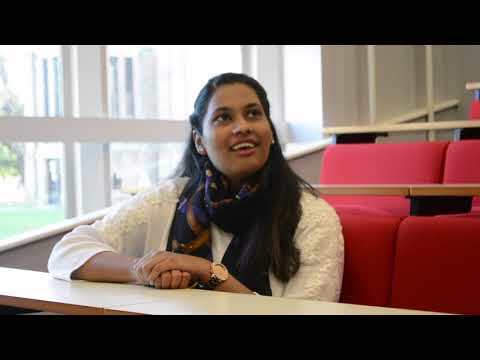 The work placement modules at St Mary’s gave me the opportunity to apply my business management knowledge to the placement I was in, which enhances my CV and my employability. There is also a Careers Service here to provide advice on CVs and job hunting. There are also volunteering opportunities at St Mary’s, I volunteered to be a peer mentor for first year students to develop my mentoring skills. My lecturers played a pivotal role to my learning experience in St Mary’s and also one of the many reasons why I enjoyed studying here. The lecturers are willing to help you, respond to emails promptly and also, you can arrange 1 on 1 tutorials with them to help you with assignments or course related questions. When I arrived here for the first time, I was worried that I would not make friends here. However, it turns out that I made plenty of friends as people here are friendly and approachable. The Students Union has many events, sports clubs and societies for students such as Ultimate Frisbee, basketball, business management society, and a social sports club, where you can play friendly futsal games and non-contact rugby. Overall, the lecturers, the degree content, the work placement team and the Careers Service made my university experience with St Mary’s enriching and educational including a beautiful local area to explore. There is no other place better than London for career development and I thoroughly enjoyed studying abroad. Additional costs could be incurred depending on optional modules chosen and other projects undertaken. For further information about additional costs please contact eleni.aravopoulou@stmarys.ac.uk. This module analyses the nature and practice of corporate finance from both a domestic and international perspective. The module seeks to equip students with a detailed understanding of the risks and rewards of investment and the strategies for successful commercial financing. Students will learn to differentiate between different financial products, such as equities and derivatives. The module will provide the conceptual tools necessary for informed financial decision-making and will stress the practical framework of corporate finance operation throughout. Please note: this module supports your progress towards the CIPFA Professional Accounting Qualification – Diploma Level. On this module, students consider the principles, theory and practice of International Human Resource Management (IHRM). They will discuss issues of culture on organisations, and learn of the challenges for managing human resource in an international context, such as international staffing, selection, training and development, compensation and performance management. Students will also consider some of the regulatory and legislative barriers that influence international human resource management, such as industrial relations and the European Social Policy. Management is challenging, but managing across national borders presents far greater and complex challenges. During this module, students will compare and contrast different frameworks used in management at a global level. Students will consider the social and cultural backdrop to cross-border management as well as the importance of foreign direct investment in the world economy. They will examine issues of management development and corporate decision-making within the context of international operations. Students will also understand how international perspectives can influence international operations. This module provides students with a detailed understanding of the international marketing function and supply chain logistics involved in modern business activities. It will increase awareness of the complex relationship between marketing internationally and the supply chain function. Students will explore how the international business environment impacts upon the marketing and supply management function within the business and the requisite modifications needed to access international markets. A theme of ethics in international marketing is also embedded throughout the module. Leadership is the subject of much academic research, debate and analysis and even media headlines regularly attack public figures on their leadership. In this module students are guided through styles of leadership and examine the effectiveness of each. They will consider and identify successful business leaders and understand how and why they have achieved success. The module includes sessions where students get unrivalled access to a panel of business leaders. They are also encouraged to critically analyse current research on leadership to help them define their own styles. Good management accounting is important for a business to strive in a competitive setting. This module gives students a strong understanding of the theory of management accounting in businesses and organisations. Students will examine the role of ethics and social responsibility in management accounting and they will also gain an appreciation of the underlying concepts on which management accounting is founded. The module also provides practical skills associated with management accounting, such as appraising capital investments, developing marginal costing and devising and controlling a budget. Please note: this module supports your progress towards the CIMA Certificate in Business Accounting and the CIPFA Professional Accounting Qualification – Certificate Level. In order for a business to survive or grow it needs to employ marketing techniques as part of a strategy to generate awareness, interest desire and then action. This module looks at current approaches and techniques for managing the development and implementation of marketing strategies. Sessions cover various marketing models that are used in business and public service. Students are also made aware of the integral role social responsibility and ethics has in marketing. They will also discover the analytical tools that help marketing managers make effective and important marketing decisions. The module provides students with a philosophical and ethical framework for making ethical decisions in the world of business. Discussion around concepts of trust, fraud and corruption will feature in this module and students will be encouraged to discuss and debate the ethical dimensions of such issues in class. They will explore the use of ethical investments and consider the role of professional bodies on codes of conduct and guidance that drive ethical business behaviour. This module challenges students to be creative thinkers and to apply ethical and philosophical decision making to ‘real-world’ business problems or scenarios. This is a core module for Business Management and Entrepreneurship and introduces students to entrepreneurship in practical and theoretical methods. The module exposes students to different entrepreneurial approaches, including social entrepreneurship, intrapreneurship gender and ethnicity, It also explores the importance of entrepreneurship to national economies. Students will develop an awareness of key skills needed for exploiting new business opportunities, namely marketing and financial planning. They will also meet people who run SMEs, providing them with real examples to enhance their learning opportunities. The module develops practical skills associated with being a good and effective manager. It outlines the methods and techniques used to overcome some of the different situations faced by managers in real life, Students will learn how to handle organisational culture, managing a project to specification, handling meetings and negotiating, as well as developing and managing a team. Students will also be encouraged to reflect on their own styles of management and communication and will learn to improve and enhance their networking skills which will make them a more ‘business-ready’ prospect for future employers. Starting a business is an exciting venture for anyone to take up. In this module theory and practice combine to provide students with the skills to set up their very own business. This module takes students on a journey starting with identifying gaps in the market right through to preparation of a business plan and all stages in between. This module is designed to ensure students are aware of the best conditions for business success They are also given the opportunity to present their business idea to a panel of business leaders in a ‘Dragon’s Den’ format. For students who have wondered what FTSE, CAC and Dow Jones are or what happens on Wall Street or the City of London then this module provides some context. It discusses the historical developments and market structure of major international financial markets such as the equity, debt and currency markets as well as the risks and opportunities faced by businesses operating in these markets. The module also touches upon current developments in these markets, and various international funding and investment techniques. This module complements the Starting A Business Venture module as a core element for the Business Management and Entrepreneurship programme. The module has a strong practical focus with emphasis on ‘what and how’ to resource and market a small business venture. In this module students will develop and implement financial processes needed to fund and run their business. They will also be encouraged to use social and digital media techniques, alongside traditional marketing approaches to promote the businesss to prospective customers. Social enterprise is often seen as a UK phenomenon. In this module, students are encouraged to examine issues of social entrepreneurship in a global context. Students will conduct supervised but independent research on a social entrepreneurial project. Students will develop analytical and research skills but will also gain an appreciation for the challenges faced by different environments and cultures and the experiences of social entrepreneurship encountered by those communities. Please note: this module supports your progress towards the CIPFA Professional Accounting Qualification – Certificate Level. This module seeks to develop students’ practical managerial skills within the context of a live business assignment, for example developing marketing plans, business strategies or organisational behaviour recommendations. Students will act as management consultants, linking with an appropriate industrial or commercial organisation in order to prepare the final consultancy report. Through both practical experience and exposure to appropriate theory, the module will develop to a high level the key skills of analysis, fact management and contextual decision making. Organisations often change and restructure to operate more efficiently or to meet the demands of new markets or services. In this module, students develop an appreciation of some of the complex factors contributing to organisational change, including practical and theoretical approaches to the subject. Students will evaluate the implications of change, particularly in relation to individuals, groups, organisations and society. They will also develop the necessary analytical tools to define, plan and manage change situations. This module will examine the theory and practice of social enterprise. Students gain a unique outlook on enterprises that reinvest surpluses into society. As part of the module, students explore the nature and impact of social enterprise in a wider socio-economic context. They consider some of the challenges and opportunities that social enterprises present and develop a social enterprise proposal for action. Students completing the module will be equipped with the skills to develop their own entrepreneurial businesses in the social sector. Price fluctuations for stocks and shares makes timely investment seem impossible to many people. However students on this module will get a better understanding of what influences these fluctuations, how securities are traded and how stock and shares are valued. This modules explores the opportunities for investing in stock markets followed by discussion on investment theories and valuation processes. Students will also be exposed to the practical aspects of investing. Thereby the students who complete the module successfully will be able to analyze investment opportunities from both theoretical and practical considerations with a view to making appropriate investment decisions. In this module, students gain industry experience whilst reflecting on their skills, knowledge and professional identity. Students explore the concepts of enterprise and innovation, how these exist in their organisations and how these can be developed. On return to the classroom, students work in groups on a challenge to solve a business issue and make a creative presentation of their findings. The challenge will involve primary research as well as test knowledge of marketing, finance, and human resource management.